Consultancy Wood Mackenzie has said the North Sea oil industry will stage a recovery in exploration drilling and healthy levels of mergers and acquisitions this year as privately-owned companies take a growing role. That’s according to a report by S&P Global Platts. Wood Mackenzie forecast an increase in UK exploration drilling this year with 10-15 wells to be drilled, up from eight last year, and said that 40 exploration wells could be drilled offshore Norway. “Budgets are bigger and company portfolios are brimming with prospects matured through the downturn,” said Wood Mackenzie. Wood Mackenzie also forecast continued asset sales by major companies, particularly US majors. “The drivers to divest are in place, so too are the enablers: a pool of buyers eager to grow. Most of the assets up for grabs will need buyers with deep pockets,” Wood Mackenzie said. Wood Mackenzie forecast a “bumper year” for project approvals in the North Sea, with 12 UK projects to be approved, and nine for Norway, plus one in the Netherlands and one in Denmark. It forecast UK oil and gas output will rise by 4% this year, on a barrels of oil equivalent basis. “Companies with the lowest-cost projects and the most optionality will be the winners this year. As costs begin to creep up, the window to sanction at the lowest price will begin to close,” Wood Mackenzie said. 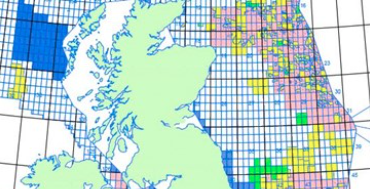 The UK’s Oil and Gas Authority (OGA) said recently the UK’s petroleum reserves remain at a significant level which could sustain production for at least the next 20 years and beyond if additional undeveloped resources can be matured.